Meet Ali Glenesk. 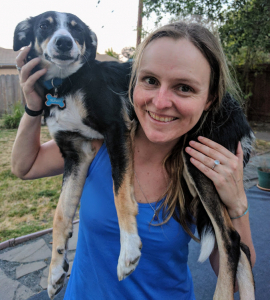 An unstoppable Hackbright graduate from the full-time software engineering class of November 2017, she not only ran seven marathons in seven days across California (no, really! ), but she’s also the newest engineer at BetterCompany. Learn how Ali used her skills as Global Policy Operations Team Lead at YouTube to transition into a new career in tech. What is your advice to women who are considering a career change? Don’t let fear guide your decision. When I was grappling with my decision to change careers and go “back to school” at bootcamp, this TED Talk helped me finalize the decision. My little sister also gave me the kick in the pants I needed by asking me what I had to lose. There may be a lot to lose on the table but there is a lot to gain too. What advice would you give to women looking for jobs in tech? I’m coming from a place of immense privilege as I already had my foot in door in tech. Not all women’s experiences will be the same. I will say that getting into tech can be hard, and staying in tech can also be hard. A few pieces of advice I received in the past that helped me grow: first, don’t judge yourself the way your workplace judges you if it doesn’t align with your values – know yourself. Second, learn to identify areas you can grow and improve and ignore or stand up against what is just bias, sexism, or racism. Lastly, take care of yourself, it’s not all bad, and I love you for showing up to be a part of all this! Prior to Hackbright I worked for six years in Trust & Safety at YouTube. I was part of an incredible team there shaping internet policy outcomes for people all over the world and working at a very large scale. At YouTube, I learned and saw new things each day – from a useful SQL trick, to a breaking news story, to a new trend happening in a corner of the internet – we saw quite a lot in Trust & Safety. The most important thing I learned at YouTube is what a privilege it is to be a part of an amazing team, and how imperative inclusion, shared values, and trust are if you want to accomplish the next big thing. I still really love my Trust & Safety family and would do almost anything for them. At YouTube, the engineers and data analysts I worked closely with had a lot of power to tell stories and make change, and that inspired me. I believe that the future of policy outcomes will be shaped by those with technical skills just as much if not more than it will be by policymakers. I wanted to be a part of that. Technology is not a cure; it’s an amplifier, and the world will be better off if a more diverse group of people are at the helm of it. Once I got started I realized that coding can be pretty fun too! How did you find your current role after Hackbright? I mostly got really lucky. Before applying to jobs I was active on social media and also got involved in simple open source projects on github. I started out with open source by contributing to my cohort-mates projects just after Demo Night and then created a simple app inviting other newbies to contribute their first pull requests. I wanted my github to be a wall of green blocks! I submitted a few cold applications and got a job offer after my first interview. What was the process like from application to graduation at Hackbright? I remember I was terrified for the recorded video interview portion. I did the video practice ones and was just cracking myself up wondering if anyone would watch my nutty practice versions. After I was accepted I quit my job and took the opportunity to do something crazy with my friends. For me that was attempting to run across California with two friends. I failed but it was still really cool to explore deeply what I’m capable of. I found that Hackbright was like that too. In the beginning I had this mostly irrational fear that I’d fail out of Hackbright, but by project time I was really in my groove. I wasn’t sure I could do it but I did. The women in my cohort are incredible people – I’m in awe of each of their bravery jumping into technology and I can’t wait to follow their journeys. Joining this community of women was the best part of Hackbright for me. Some things haven’t changed. Spending time with my family, getting out for a run, snuggling with my puppy, and trying to be a good person are still my top priorities. My hope is that by becoming a software engineer I can do all of that better. Having the skills for a job with the potential for more work-life balance, more work opportunities in more places, and more opportunity to effect change and build things is making me very curious and excited for what is to come. Interested in learning more? Check out our upcoming Part-Time Prep Course and our 12-week full-time or 24-week part-time Software Engineering Programs. 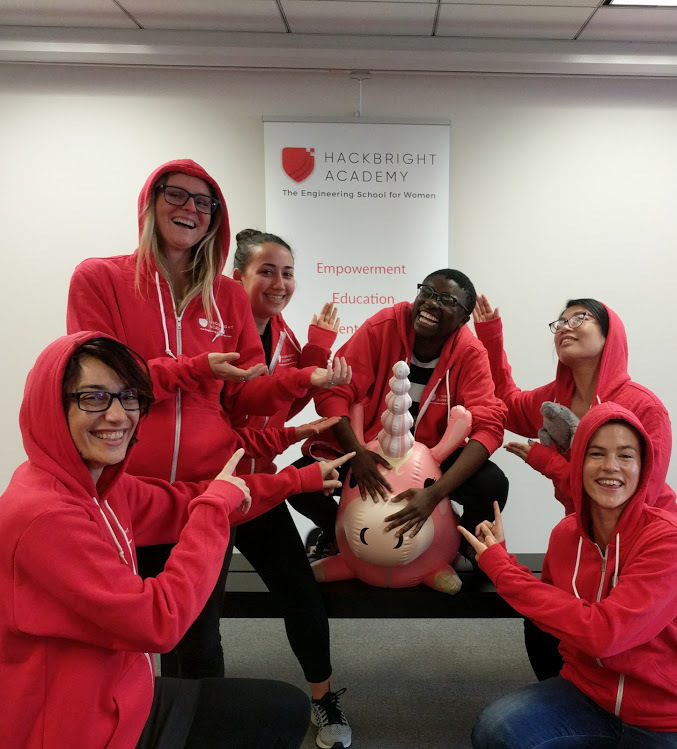 Hackbright Academy offers a deferred tuition program to select, eligible students.